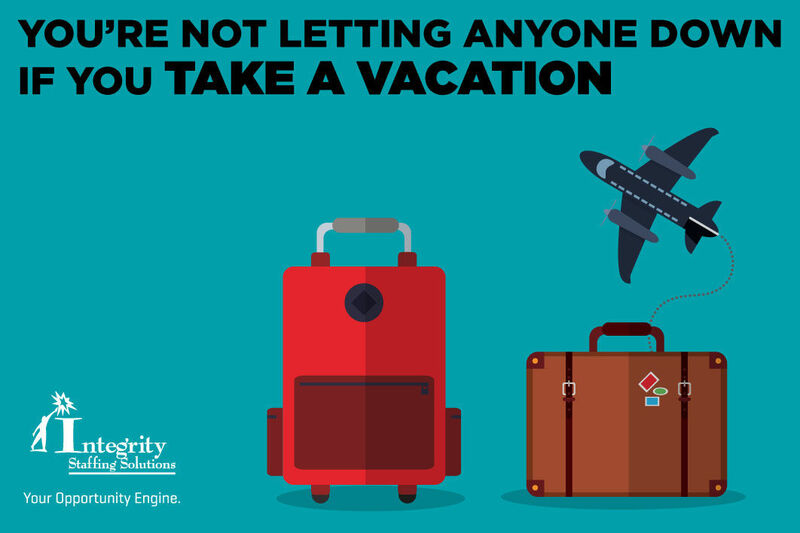 Integrity Staffing Solutions – You're Not Letting Anyone Down If You Take a Vacation. Home>Blog>You're Not Letting Anyone Down If You Take a Vacation. You're Not Letting Anyone Down If You Take a Vacation. If you feel guilty about taking time off and leaving others to cover for you, you're not alone. The vast majority of U.S. workers' paid vacation time goes unused every year. Here's why you should take that vacay with a clear conscience. Nobody wants a burned out team member. You may think your presence is essential to the team's functioning well. But if you're exhausted, you're probably more of a hindrance than a help. Numerous mistakes, injuries and accidents have been attributed to physical and/or mental tiredness in all walks of life, from aerospace engineers to construction workers. Do any of these ring a bell: Chernobyl, Three Mile Island, Exxon Valdez, Air France Flight 447? All linked to "impaired performance due to fatigue." Don't let this be you. You'll be a happier employee. 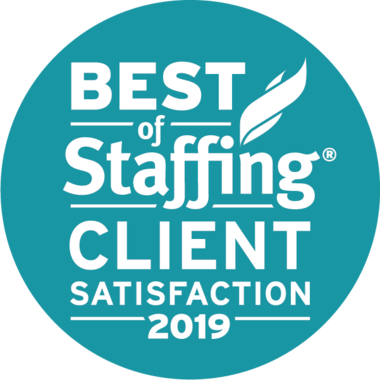 When the huge accounting firm Ernst & Young surveyed its staff, it found that those who took their vacation had greater job satisfaction and tended to stay longer with the company. This led to better productivity, teamwork and performance reviews. Which is exactly what you want when promotions and raises are being decided. You'll showcase your organizing and planning skills. Before you take off, you'll make arrangements so that your team will still get the work done and deadlines met. Way to impress the boss! Numerous medical studies have shown that taking a vacation improves sleep, digestive problems, cardiovascular illnesses such as high blood pressure and many other chronic disorders, especially those caused by stress. So it's a no-brainer that mental and emotional health also benefits from a change of scene. In fact, there are also studies demonstrating better problem solving, faster reaction times and stronger neural connections post-vacation. Getting away from the daily grind not only recharges body and mind. It's also a proven method of generating new ideas and solutions. You just may return to work with an innovation that will take your company to the next level ... and you along with it. It's time to get rid of that old idea that a workaholic is a better worker. It's just not true on any level. Go ahead, take the break you've got coming to you. Enjoy the time with your family and friends. You'll be a more valuable asset to your employer, and have a better life into the bargain.